At Cotswold Hill Quarry we manage our extraction operations to ensure that they are wherever possible, the least damaging to the environment. We comply with all relevant environmental legislation, and adopt responsible standards as the basis of our sustainable environmental policy which is an integral part of our strategy for future business. 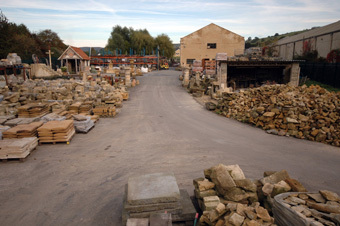 We are aware of the need for sustainability of products, and are proud to be associated with Winchcombe Reclamation, who can cater for customers needs by the provision of reclaimed, restored and reusable materials. DA Cook Ltd is an established and experienced building company who will take on small or multi-million pound projects alike. Much of their work is with heritage listed buildings requiring expert and sensitive attention. We are also associated with Winchcombe Tile, who provide replica cotswold stone tiles for your roofing needs.